Work very mush ... Can't life without music ..love dancing..
A honest true man good sense of humor , Cary and he must like to cuddle and walk hand in hand .. He must be activ ..
Elkemaus is a Female dating in other, Germany. 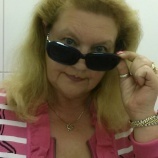 Check the description of this 62 years old profile, she is White/Caucasian and Protestant maybe this matches your profile description and you can both start dating in Ireland for free. The stars says she is a Taurus maybe you should check your horoscope and match up your star sign.